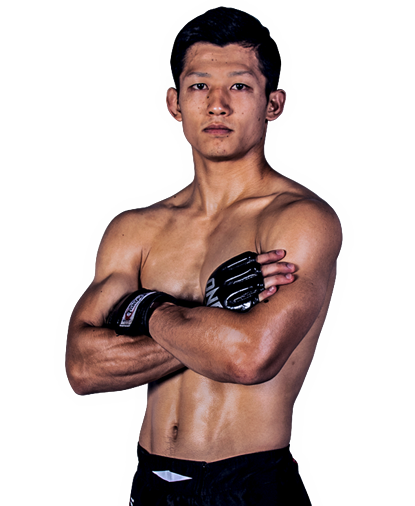 Hiroki Akimoto is an Instructor at Evolve Mixed Martial Arts in Singapore. He is a WFKO Kyokushin Karate World Champion, WBC Muay Thai Japan Champion, Japan Kickboxing Federation Champion, and more. Known for his crisp technique and explosive power, he holds a 20-0 undefeated professional kickboxing record. He also holds a Kyokushin Karate Black Belt. Having competed in Muay Thai, kickboxing, and karate, Hiroki is widely regarded as one of the top talents in Asian martial arts. He has fought and beat Muay Thai legends such as Surachai Srisuriyanyothin and Pinsiam Sor Amnuaysirichoke. His favorite techniques are his jab and roundhouse kick. Hiroki is originally from Japan.